Finding the right words to describe the kitchen you want can be frustrating. Just like art and cars and clothes, there are some distinct styles that you can use to tell your designer what you have in mind. Let’s start with the kitchen that doesn’t fit into any mold. Very often, these kitchens have a very organic feel, having been designed for the items that best fit the owner’s needs, as opposed to shooting for a style. Portions of the kitchen will have color, like a Mediterranean or French bistro kitchen, while another part will have the clean white lines of a modern or farmhouse kitchen. The most important element in the eclectic kitchen is pure functionality. In a farmhouse, the kitchen tends to be the place where the family gathers several times a day to eat hearty, filling meals that keep them powered to work on the farm from before dawn to after dusk. Open shelves, big sinks and large kitchen tables accommodate what has been traditionally a large family. The kitchen in a farmhouse is very often the first place that people arrive and the last place that they leave when entering and exiting a farmhouse. In this kitchen, it’s all about space and cleanliness. Typified by sharp, clean lines and sparkling, white surfaces, the modern kitchen is a minimalist fantasy. With flat top induction stoves and ultra-smooth surfaces, the modern kitchen can accommodate many different colors and patterns. The most important feature of the modern kitchen is open space. On the counters, the floor and cabinets, the entire design is all about open space. The pure modern kitchen works most effectively in large spaces that complement these wide-open spaces well. Open for a great deal of interpretation, this generally involves warm colors, raised paneled cabinets and lots of flourish. In many ways, this is the opposite of the modern kitchen, with large handles, appliances on the counters and even chandeliers on the ceiling. This is a kitchen that marries well with tile, hardwoods and recovered cabinetry. 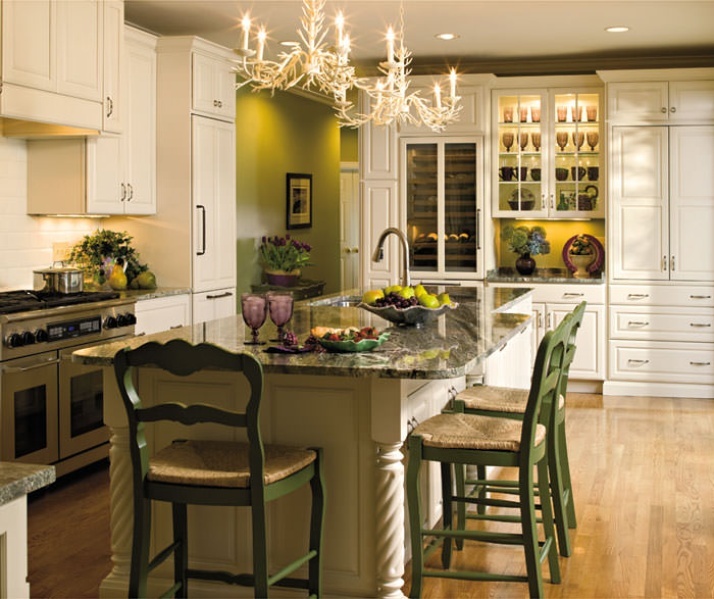 One the nicest features of this kitchen is that it lends itself to the redecorating of a kitchen space. In a home that has one or two very nice pieces of built in cabinetry, this style can be made to work with the existing items. There are many different styles of kitchen, but for many people there is one style that is always perfect: their own. Homeowners are always encouraged to choose the pieces of any style that fit their individual tastes and needs, regardless of whether the style has a name or not.